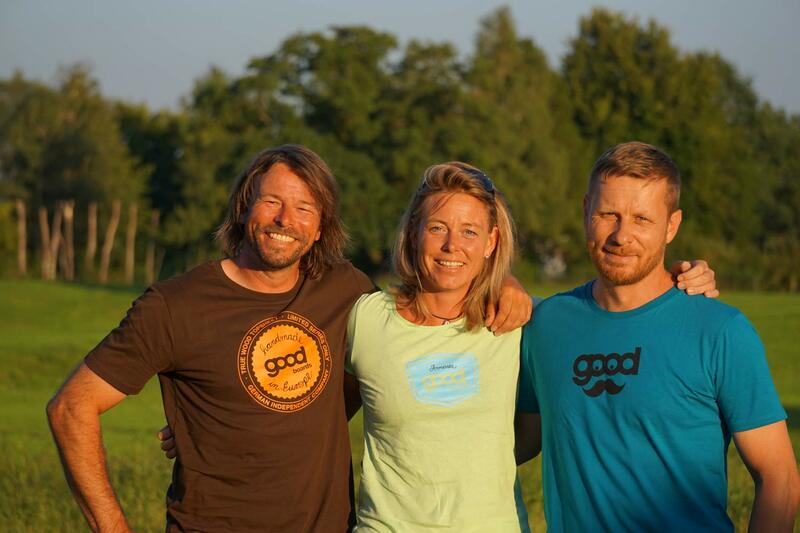 goodboards is a German and owner-operated company based on the beautiful Ammersee near Munich. We develop premium boards (snowboards, wakeboards, skis, kiteboards) for demanding fans of highest performance and simple wood designs. 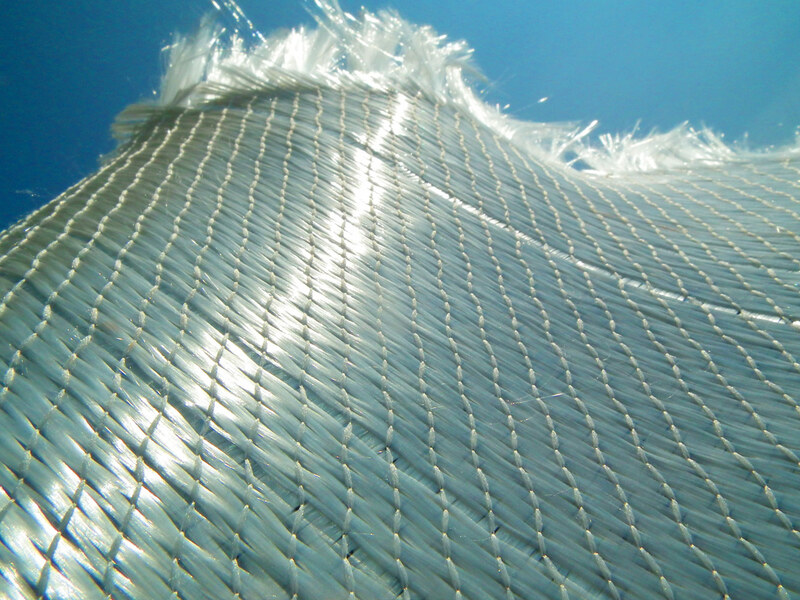 We use only high quality and durable materials, rely on real craftsmanship with attention to detail, produce small series and only in Europe. Our distribution is growing sustainably: with friendly and fair partnerships to our core shops and without orders from powerful big players. At more than 120 test events per year, the dealers and end users are first given expert advice by the owners and team riders and then they can try out all the products for free. ISPO BRANDNEW is the world’s biggest young entrepreneur competition in the sporting goods industry. The focus is on innovative products and the respective brand behind them. The best applicants are awarded annually by an international jury. Ready in the first year we have applied with Goodboards and was honored as a finalist. 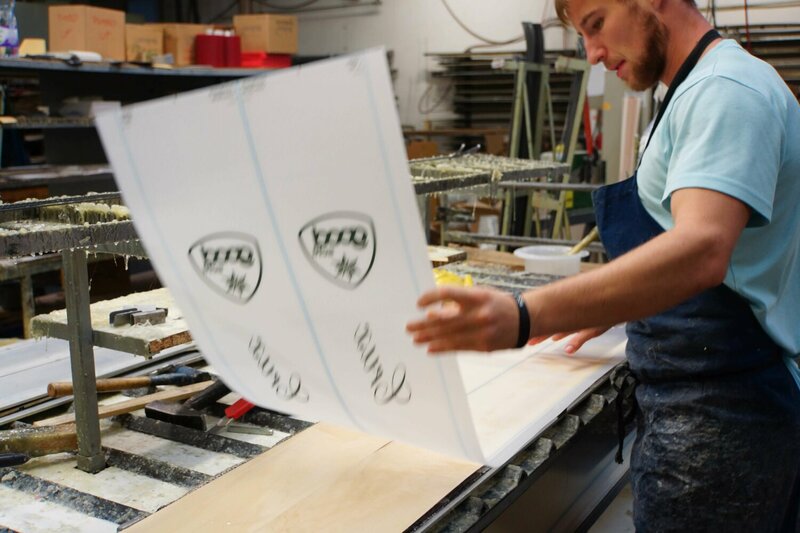 Goodboards stands for simple, timeless wood designs on the surface and clear logo design on the tread. The designs come from graphic artists from Germany, who are passionate snowboarders, wakeboarders or kiteboarders themselves. 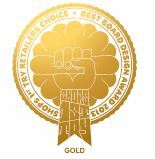 In 2013, 2014, 2015 and 2017, we were awarded the BEST BOARD DESIGN AWARD for our designs. Josef Holub, born 1971 in Prague, father of 3 children, emigrated to Germany at the age of 23, all-round athlete. After 21 years in the snowboard industry, he founded 2010 goodboards. Sandra Schäfer, born 1980 in Cologne, mother of 3 children. In September 2016 she turned her hobby into a profession. She looks after the internal areas and accompanies us at numerous tests and fairs. Maik Friese, born in Dusseldorf in 1970, a trained carpenter and the best for sales. First as a team driver, longtime reliable friend and since 2012 as a business partner. At more than 120 test events per year, we experience the wishes of the end users. Our team riders provide us with other great but crazy ideas. We discuss this information and our own ideas with dealers and distributors. As a result, we are constantly developing ourselves and our products. Our Boards and Ski are made in small series and with great attention to detail in European craftsmanship. 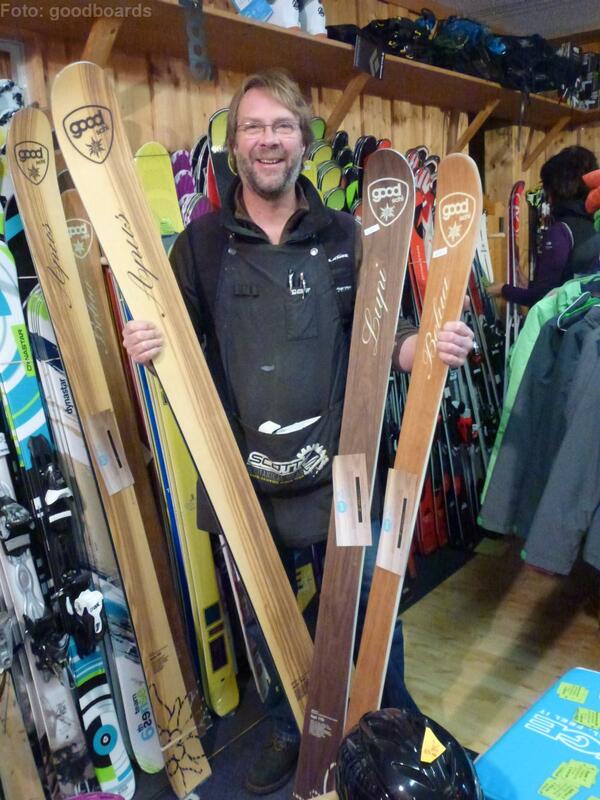 goodboards and goodschi are sold as premium brands only through competent and owner-managed specialist shops. All goodboards and goodschi are made in small series. We only produce on pre-order plus 20% for repeat orders. With our shops and distributors, we work in partnership, for a long time and above all, fair together. An important requirement is that the sellers of Goodboards and Goodschi are convinced and heve tested the products themselves. Already at the founding of goodboards we consciously decided for a premium quality, as the longevity, customer satisfaction and our own driving fun are important to us. We dispense with inferior materials, Far Eastern mass and standard production. Goodboards can only be compared with products made from similarly high quality materials in Europe and in small series. Our green business strategy is tangible and understandable. In times of throwaway society we prefer to work sustainably and use sturdy treads, surfaces and edges that make our products more durable. For designs, we rely on water-based paints, but more often we forego colors and work with renewable wood veneers. Our production is where we sold – in Europe – so there are no long, pointless transport routes around the world. Production waste – if it is no longer recyclable – is disposed of environmentally friendly in state-of-the-art incineration plants with ceramic 4D filtration. The resulting energy is used to heat the manufactory and the environmentally friendly hot water presses. For our wood cores, we use pauwlonia, which grows quickly and is grown on special plantations. Therefore, no forests have to be cut down because of us. 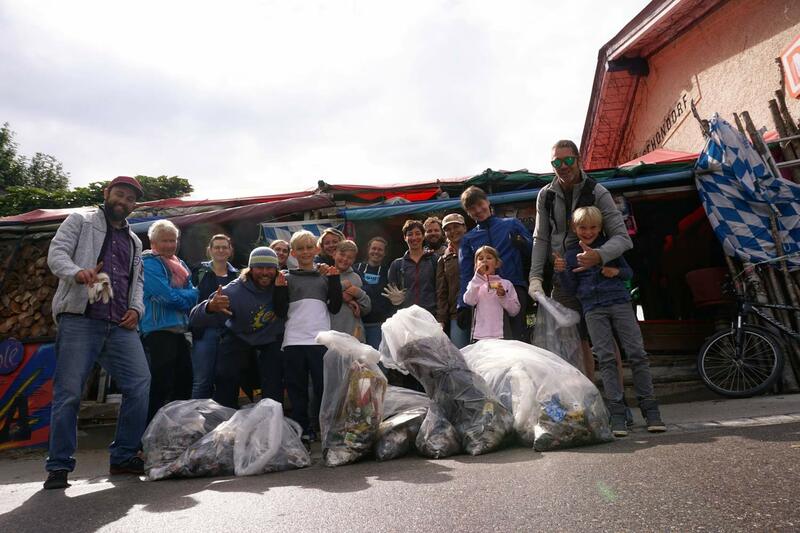 Last but not least, at the end of the summer holidays we organize a garbage collection campaign “Ammersee ohne Müll ist schee”. In addition to the sale, social commitment is very important to us, as many people unfortunately are not feeling well. We support financially and with prizes Lake of Charity in Saalbach-Hinterglemm, the Sammersee Festival in Schondorf, Charity Hike in Garmisch-Partenkirchen, Ride with fun in Süsel etc.